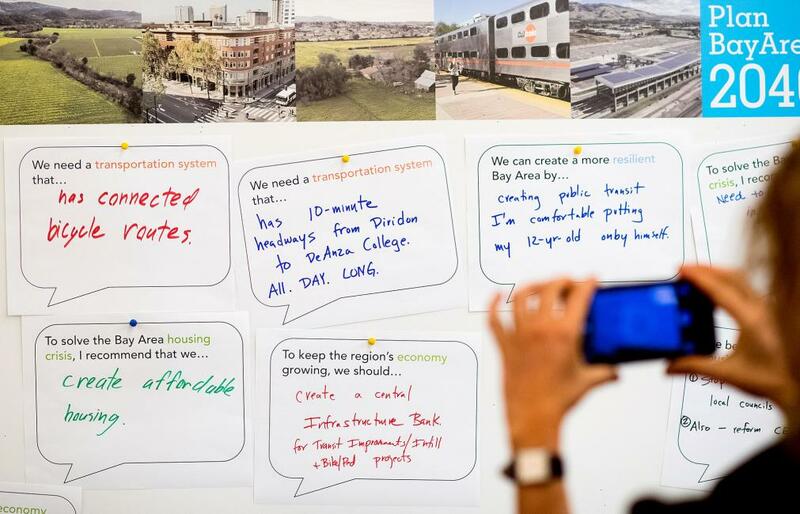 Participant feedback from the Plan Bay Area 2040 open house in San Jose in May 2017. Below are the comments that we received at each of the nine open houses held throughout the region between May 4 and May 22. Review the open house schedule here. Below is the correspondence that we have received as of June 1, 2017, via mail, email and the website on the Draft Plan Bay Area 2040. Click on a link to review the correspondence by category. Public comments on the Draft Plan Bay Area 2040 were due by June 1 to MTC via email at info@planbayarea.org, or via U.S. mail to MTC, 375 Beale Street, Suite 800, San Francisco, CA 94105.